Services to honor and celebrate the life of Martha Marie-Anne Beasley will be held at 10AM Thursday, February 7, 2019 at Saint Anthony’s Catholic Church in Okmulgee with Father Joshua Litwack officiating. Burial will follow the service at the Okmulgee Cemetery. Visitation will be held Wednesday, February 6, 2019 from 5PM to 7PM at the Schaudt’s Okmulgee Funeral Service Chapel. 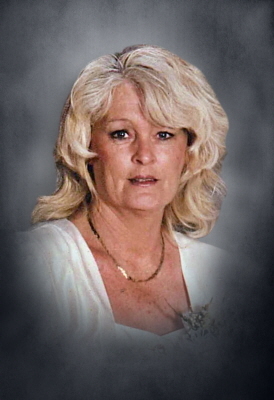 Martha Marie-Anne Beasley; a resident of Okmulgee passed Wednesday; January 30, 2019 at the age of 68. She was born July 30, 1950 to parents; Custer and Arlene Evans. Martha attended Liberty High School in Brentwood, Ca and graduated in 1968. She married Daniel Beasley On October 20, 1979 in West Pittsburg, California. Together they were married for 36 years. Martha worked as a Beautician for 20 years. She was also a specialized therapeutic foster care parent with DHS in Contra Costa County, California from 1985 - 1997. She received many awards for her service and dedication to children's families. Martha and her husband provided care for over 250 children within the 12 year period of time and was dedicated to the children and families until 2009. She studied Accounting at Los Medanos Community College in Pittsburg, Ca from 1995 -1996 and Business Management along with Early Childhood & Pre-Ed Secondary at OSU from 2000 - 2004 and was a member of the Phi Theta Kappa Honor Society. She is preceded in death by her husband Daniel Beasley, her parents Custer and Arlene Evans and brothers; Carlis Evans and Joseph Evans. Those left to cherish her memory include four children; Jason Gorman of Okmulgee, Jaime Moen and her husband Roger of Okmulgee, Julie Beasley of Okmulgee and Daniel Beasley Jr and wife Tina of Okmulgee; two siblings Russell (Buddy) Evans of Cornelius, Oregon and Glenda Sturgeon of Redding Ca; twelve grandchildren and numerous other relatives and friends. Pallbearers will be Roger Moen, Brad Moen, Neil Nunn, Daniel Beasley, Michael Robinson, and Zac Ingram. Honorary Pallbearers include; Dustin McCullough, Hunter Woodward, and Caleb Woodward. Arrangements entrusted to Schaudt’s Okmulgee Funeral Service & Cremation Care Centers. To send flowers or a remembrance gift to the family of Martha Marie-Anne Beasley, please visit our Tribute Store. "Email Address" would like to share the life celebration of Martha Marie-Anne Beasley. Click on the "link" to go to share a favorite memory or leave a condolence message for the family.